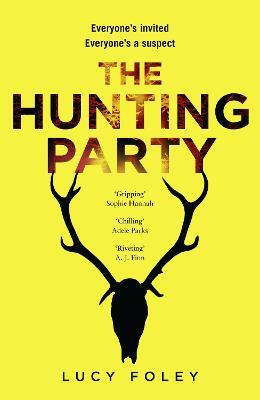 Dripping with atmosphere, The Hunting Party is Lucy Foley's hotly-anticipated crime debut. A razor-sharp and chilling Highland murder mystery . . . Everyone's invited. Everyone's a suspect. Nine friends ring in the New Year in the remote Scottish Highlands. As the curtain falls on another year, the celebrations begin. The next 48 hours see the friends catching up, reminiscing over past stories, scratching old wounds . . . And guarding friendship-destroying secrets. The clock has barely struck 12 when a broken body is found in the snow. Not an accident - a murder among friends. When a thick blizzard descends, the group are trapped. No-one can get in. And no-one can get out. Not even the killer. Lucy Foley studied English Literature at Durham and UCL universities and worked for several years as a fiction editor in the publishing industry, before leaving to write full-time. The Hunting Party is her debut crime novel, inspired by a particularly remote spot in Scotland that fired her imagination. Lucy is also the author of three historical novels, which have been translated into sixteen languages. Her journalism has appeared in ES Magazine, Sunday Times Style, Grazia and more.